Welcome back to the Blue Jays from Away Podcast! 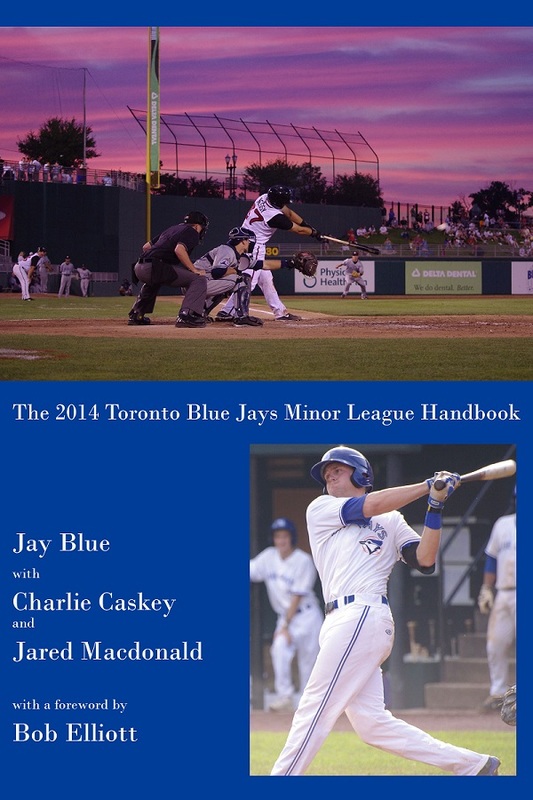 It’s been a long and cold winter but baseball is back and we’re pleased to announce that the 2014 Toronto Blue Jays Minor League Handbook is now available at Smashwords! On the podcast today, I’m talking to my co-writers from the book, Charlie Caskey and Jared Macdonald. We talk about the genesis of the 2014 Toronto Blue Jays Minor League Handbook as well as some of the minor league assignments that have been leaking out through Twitter. You can find all the details about the Minor League Handbook by clicking the “Handbook” tab in our menu above. To find more details about our Book Launch at Tallboys Craft Beer House in Toronto, click the link to our Facebook Event.